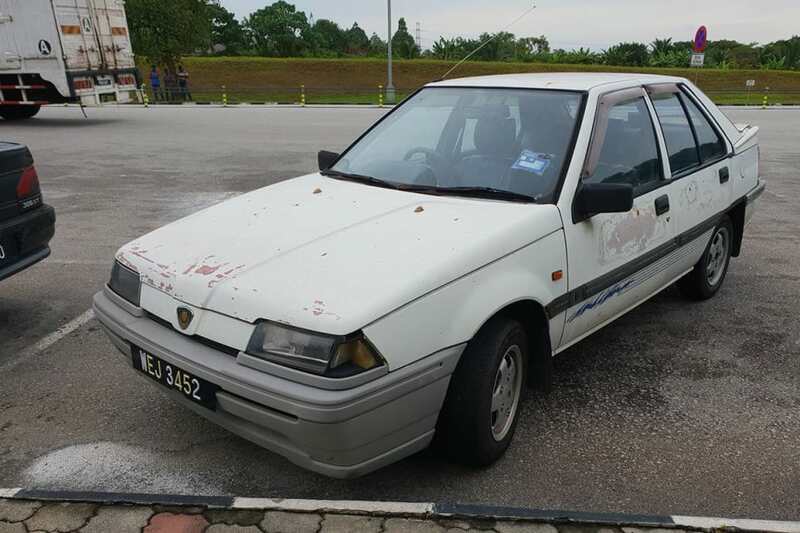 Think about Malaysia and, if you’re like me, you’ll probably imagine various Protons and Peroduas; small, ‘cheap-and-cheerful’ hatchbacks made (and sold) for around 50c. As we’ve all experienced, there’s a handful of the former in Australia. None of which you'd call sporty or fun. 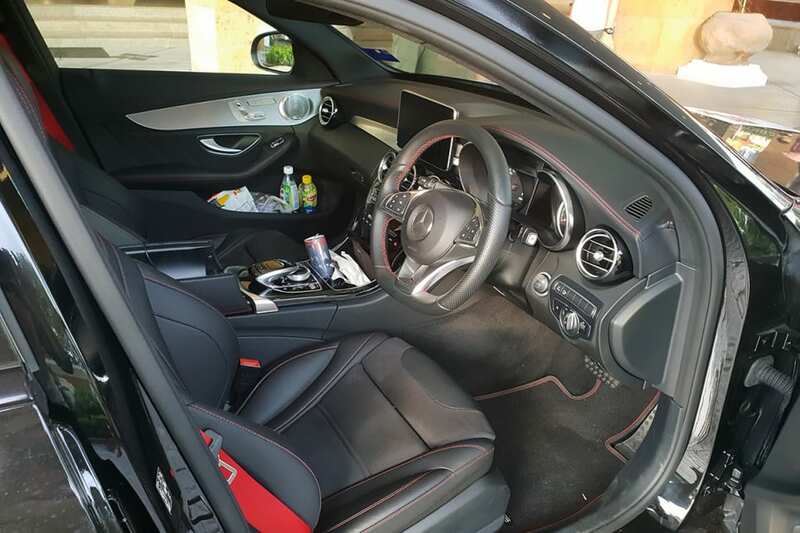 Despite being known for producing a range of economy-focused hatchbacks, Malaysia happens to be the home to some of the most complex and enlightening car enthusiasts in the world. Even if its government seems to have its back turned against them. The rest of the OverSteer team reckon I'm complex too, but until last week, my international travel virginity stood in the way of the enlightenment part. 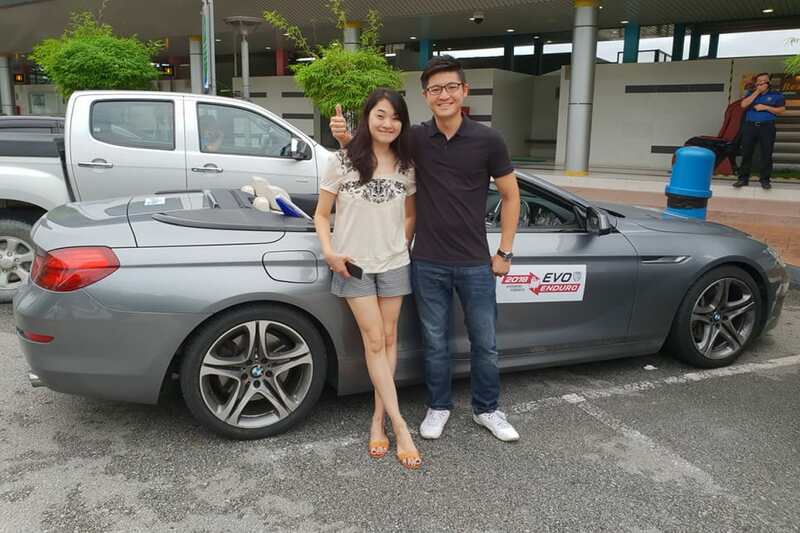 Fortunately, I've got the best bosses in the world, who set me the challenge of going to Malaysia to report on the car culture. The other part of the deal was to have our gun videographer Joshua Moll (@jayemol) in tow. Thanks guys! 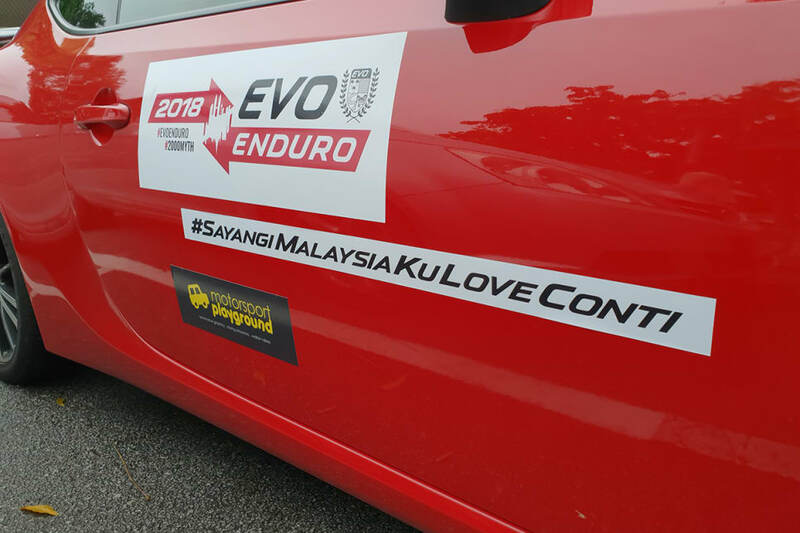 Enter the Evo Enduro, a huge, 1000km+ non-competitive rally between Malaysia’s capital city of Kuala Lumpur all the way to the eastern coast of Thailand. 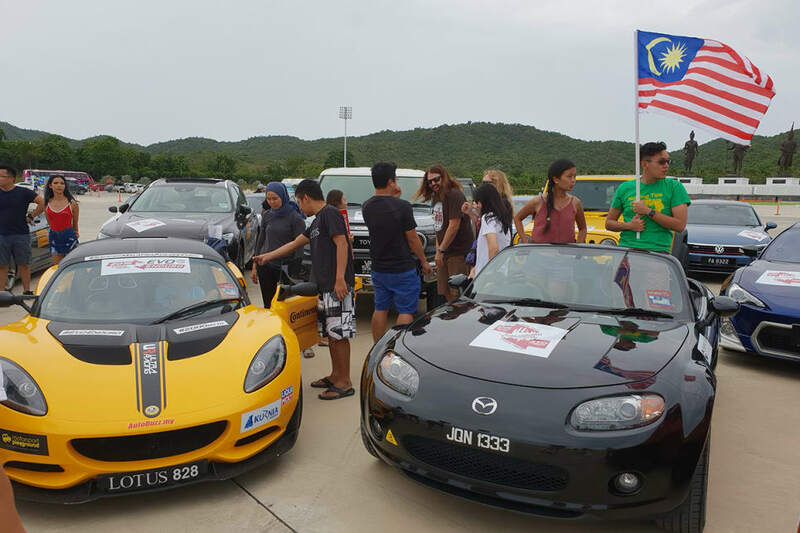 Organised by the guys over at Evolution Malaysia as a homage to the old Mille Miglia races that ran in Italy from 1927-1957, this year's three-day covered dense cities and slithering backroads before landing in the tourist hotspot of Hua Hin roughly 1312kms away. I'd never been to Malaysia before, so I was excited to see what we would find. 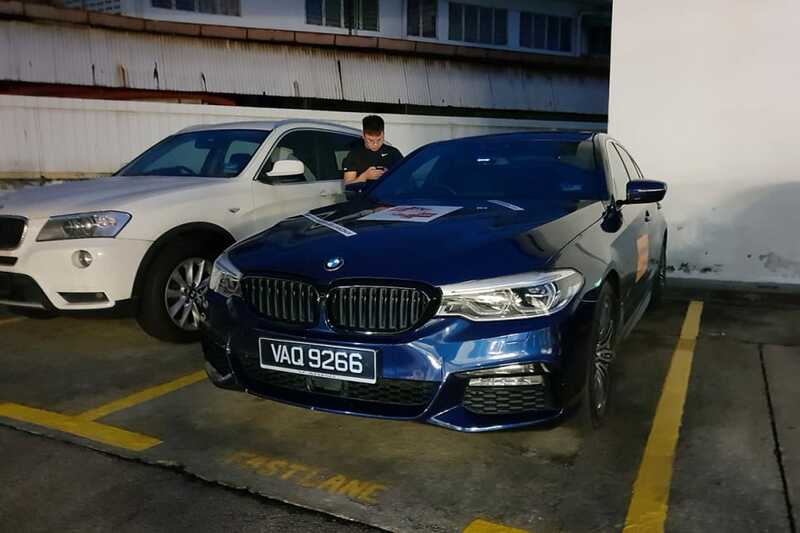 After meeting up with Evolution Malaysia journo and Evo Enduro co-orgnaiser (and all 'round top bloke) Kon Wai Luen at KL airport a day-or-so before the drive, we headed to our nearby hotel to prep for an early morning start. Early-morning starts are hard, but not when you have a sight like this to greet you. 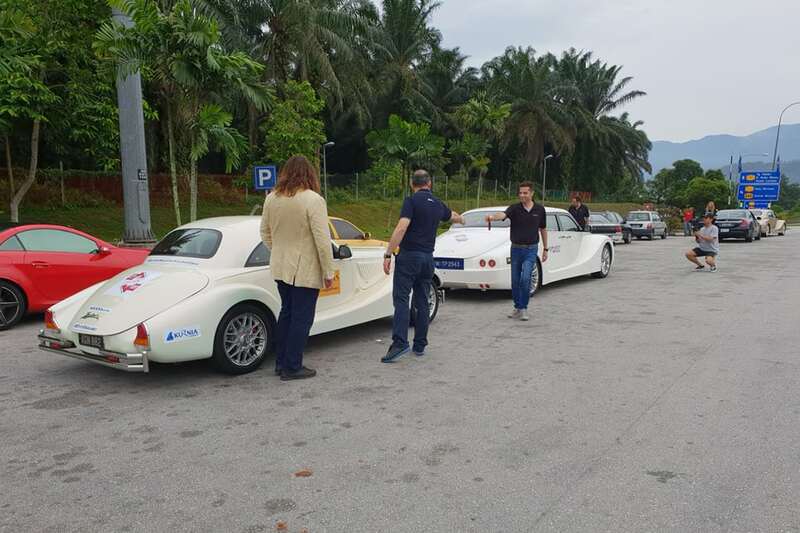 Interestingly, there wasn't a single Proton or Perodua to be found. 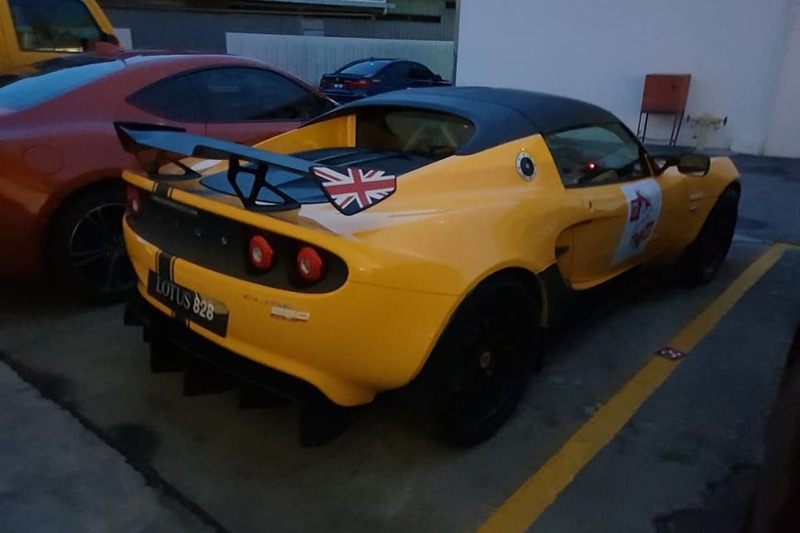 Whoever was planning to drive 1312kms in a track-oriented Lotus Elise 250 Cup was clearly insane. I wasn't sure how the Jeep Wrangler was planning to keep up with the rest of us. Fast, sweeping roads are not its forté. There were people in the group with a twisted sense of humour. 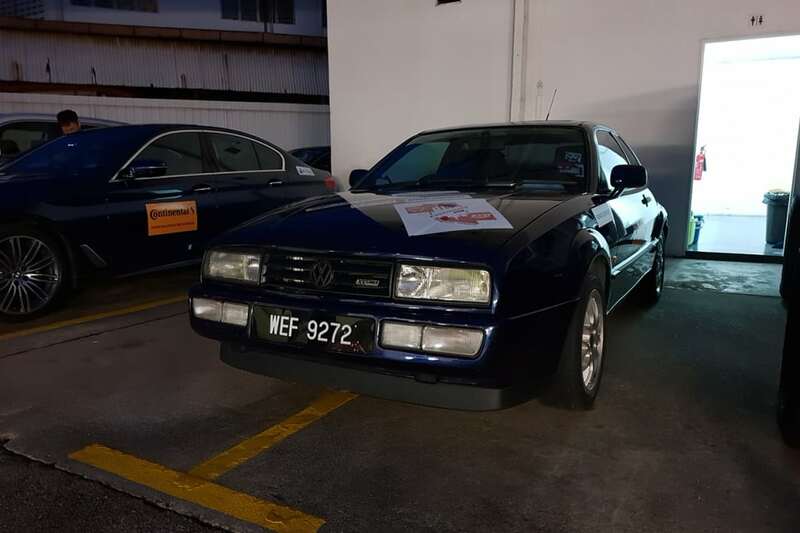 ... but it was this Volkswagen Corrado VR6 that tickled my fancy. I'd have to get a ride in this. Unfortunately, the BMW M3 wasn't joining us. 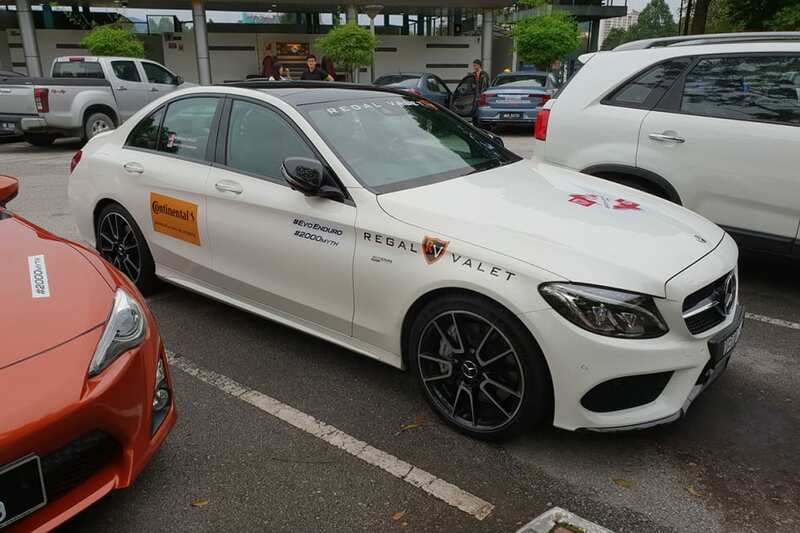 But this Merc-AMG C43 was! 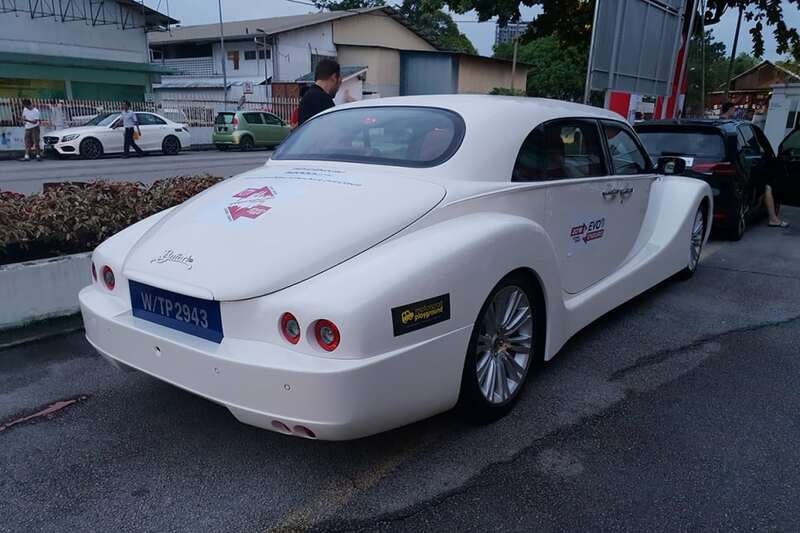 I'd heard of 'Bufori' before, but I'd never seen one in the flesh. This was Bufori's Geneva model. 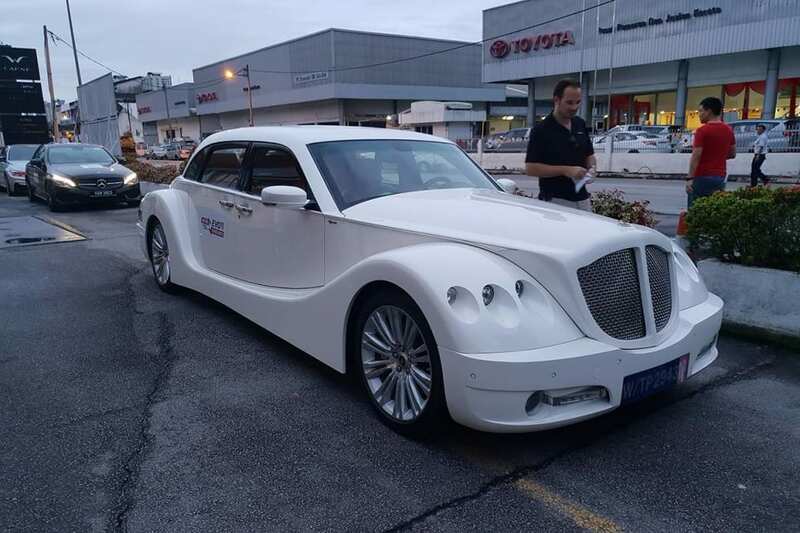 An alternative to the Rolls-Royce Ghost and Bentley Mulsanne. 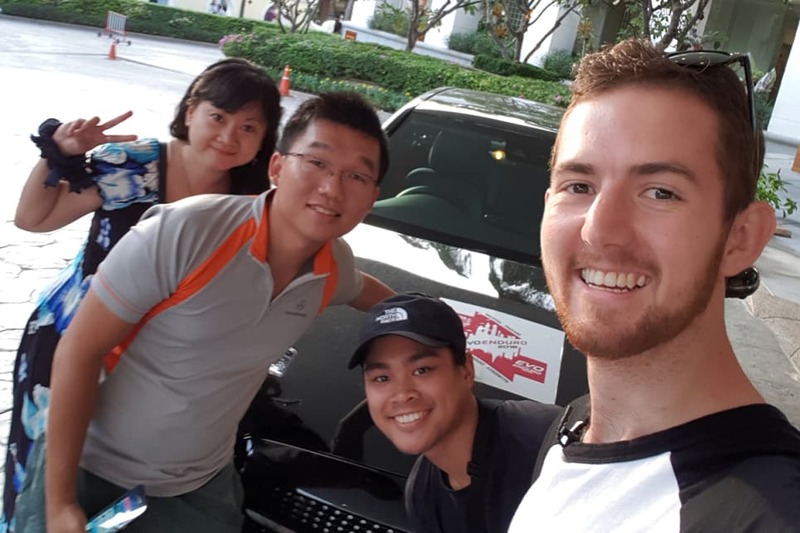 As the sun rose and the flag dropped, Josh and I scored ourselves an exclusive ride with Bufori’s general manager of marketing and international business development, Felix Haller, and were chauffeured in one of the Malaysian company’s (but Australian born) full-sized Geneva V8s. And boy did this thing haul! 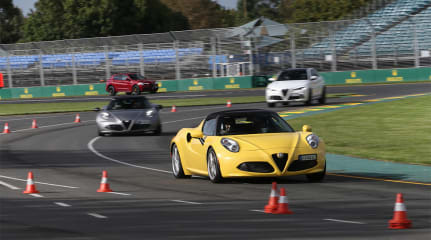 Powered by a 350kW/650Nm 6.4-litre HEMI V8, the 2.4-tonne Geneva blew almost every other participant out of the water. Only Jack Baruth (@jackbaruthofficial) from Road & Track magazine managed to keep up with Felix on the highway - but only because he was also driving a Geneva. Even the C43s were struggling! 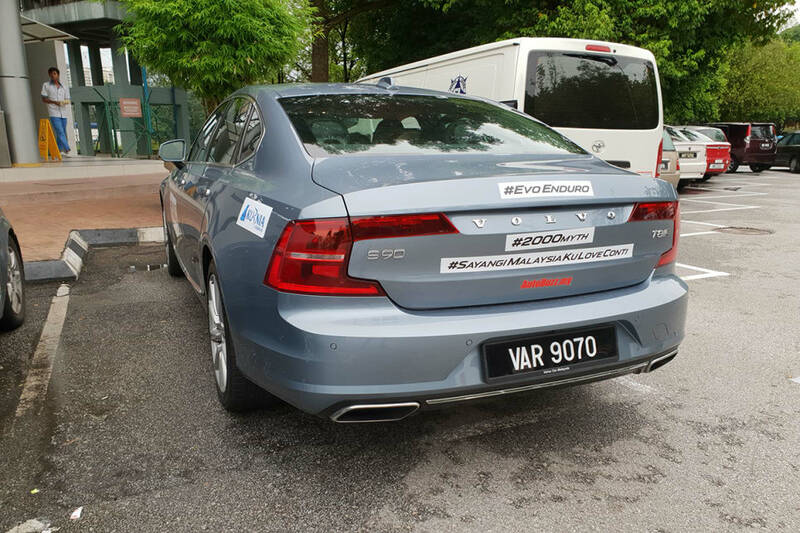 After a quick pit-stop just 13kms outside of KL, we exchanged the limo for a wolf in sheep's clothing 304kW/640Nm electric-hybrid Volvo S90 T8. Once out of city traffic, we all pulled over for a last chat before getting stuck into the route. 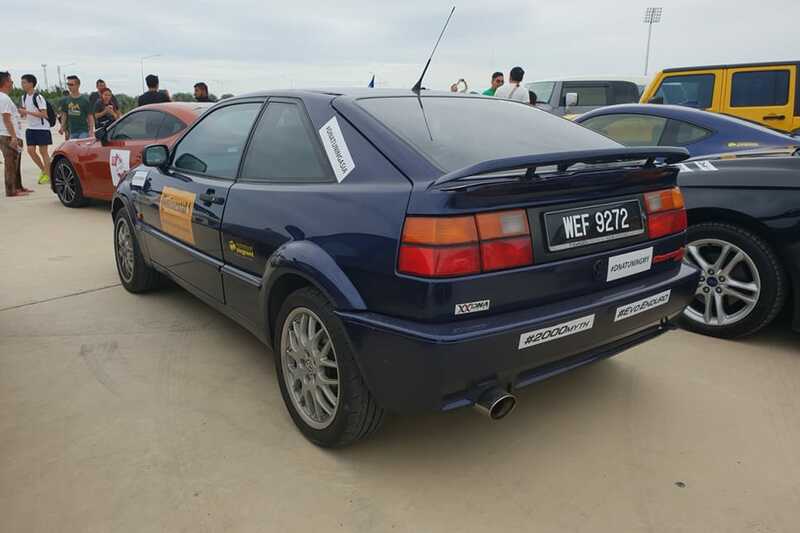 Unlike Australia, 86 car culture in Malaysia hasn't really 'boomed'. It's getting there quickly, however. Some came by themselves, others with friends. And some - if their girlfriends were cool enough - came as a couple. 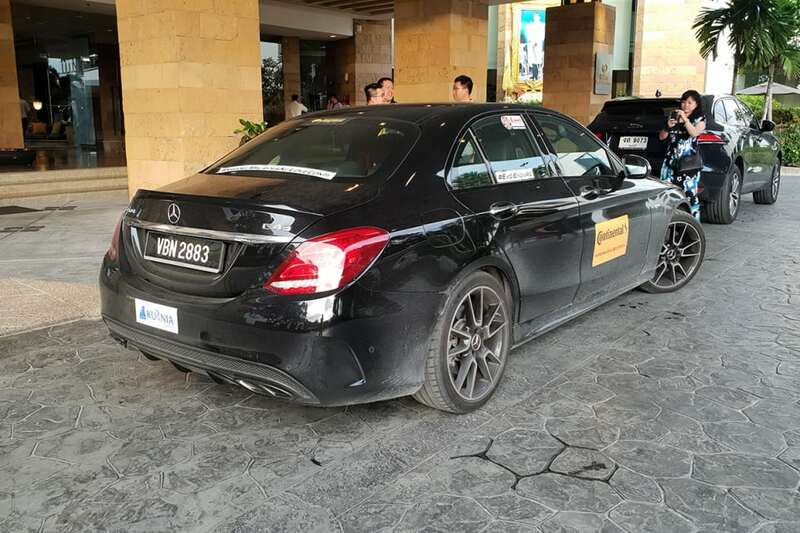 Most of the C43's had been loaned out by Mercedes-Benz. ... but after a quick drive, we drive we had to wave them goodbye. 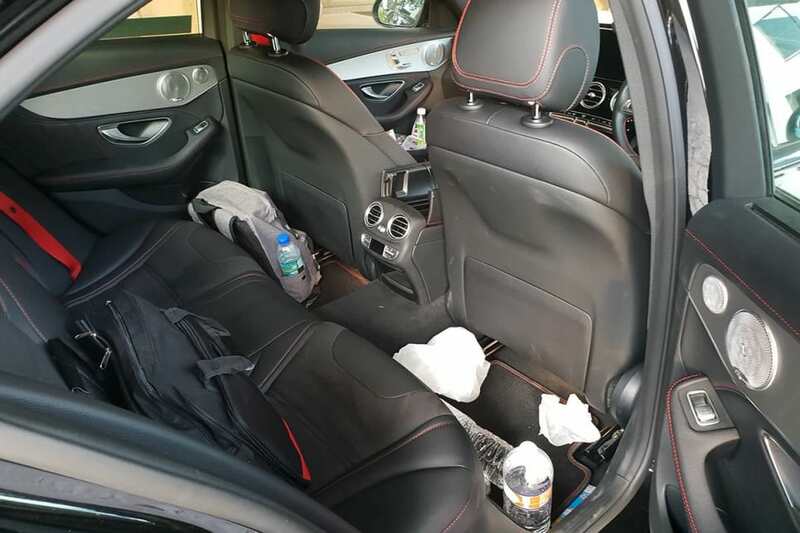 Despite knocking on the door of 170km/h on the highway, the S90 was averaging around 10.1L/100km. 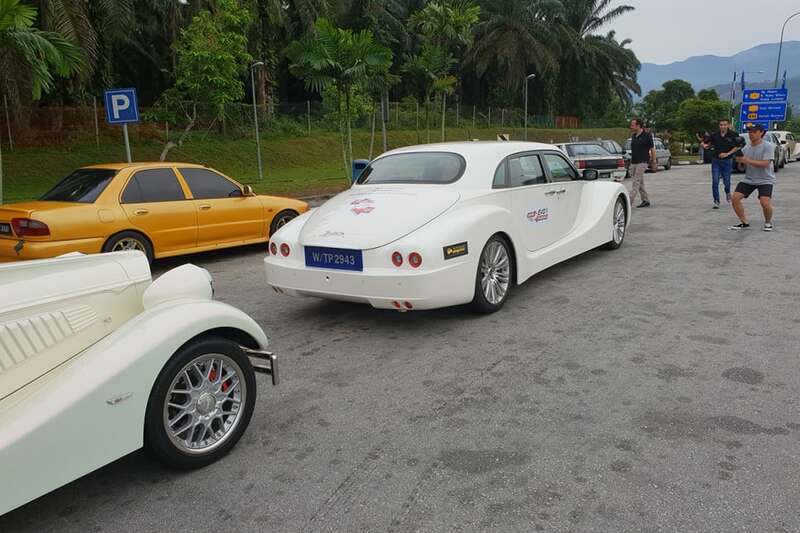 Kon was our driver this time; keen to show us (respectfully) how Malaysians – and even their police – don’t mind stretching their cars' legs on the open highway. I asked Kon about the Evo Enduro line-up and why there weren’t any more traditional Japanese sports cars or Euro supercars. If this were Australia there’d be Nissans, Hondas, Subies, and a handful of Lambos. Where were they? 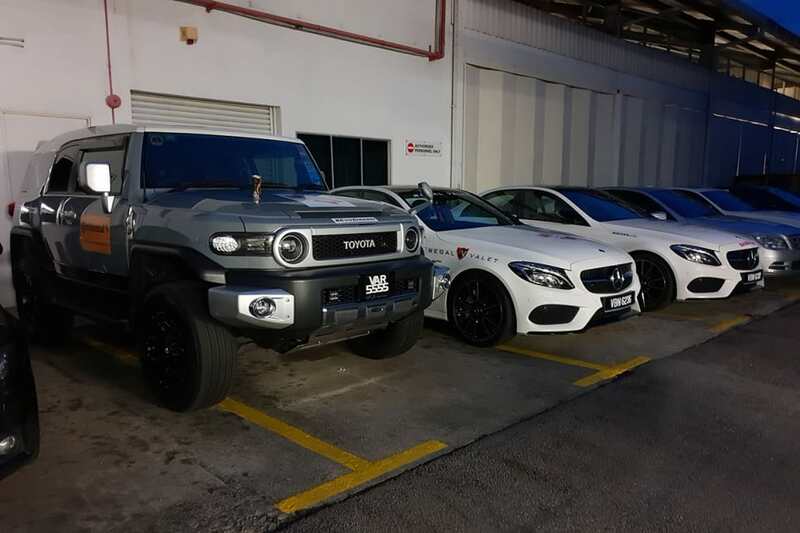 In Malaysia, you can purchase an imported Honda, Lexus, or Subaru. 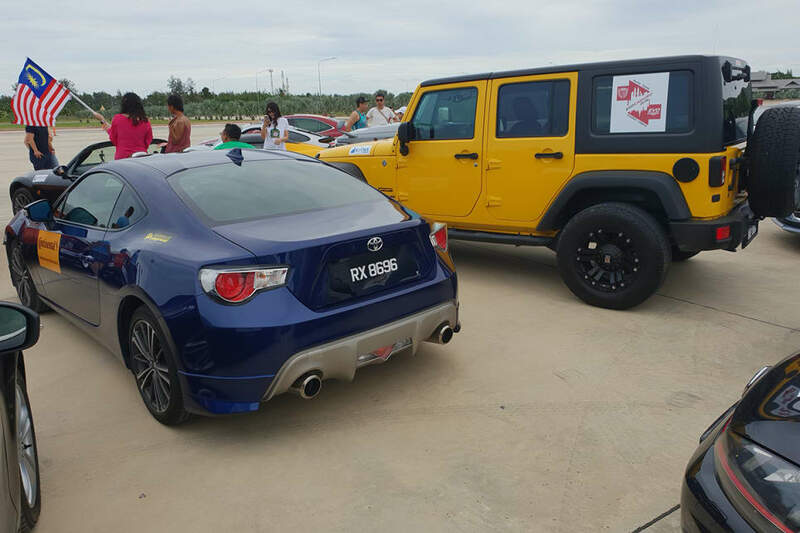 But a 2018 WRX STi would cost about 310,000 Malaysian Ringitts (the equivalent of AUD $102,000). 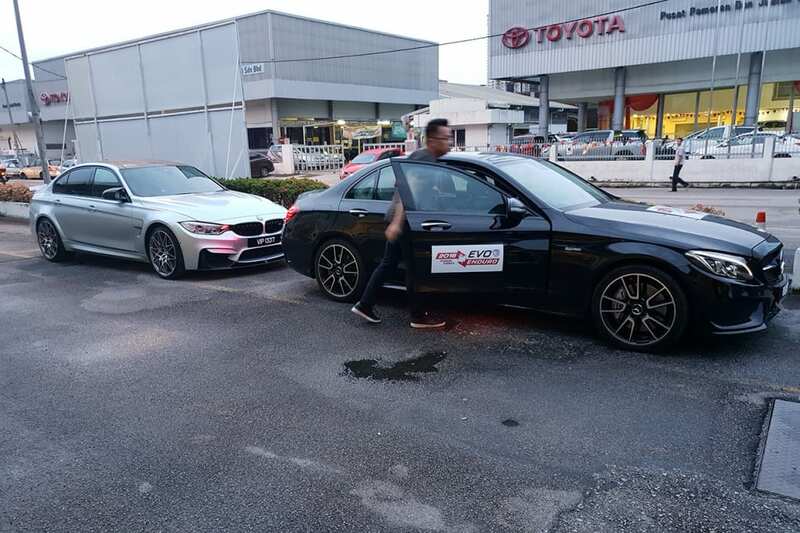 All while a Malaysian-built BMW 330e M-Sport or Mercedes-AMG A45 will cost RM 258,000 ($85,000) and RM 329,000 ($109,000), respectively. 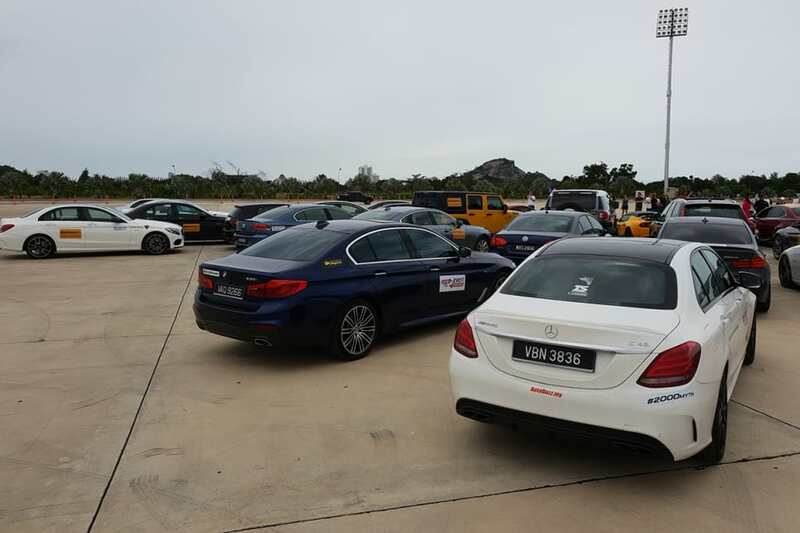 Given the speed differential, the convoy had thinned; some were lost, some were being picky with petrol stations (Thailand is notorious for dodgy ethanol-blended 'gasohol'), some had mechanical issues, and some took it easy. 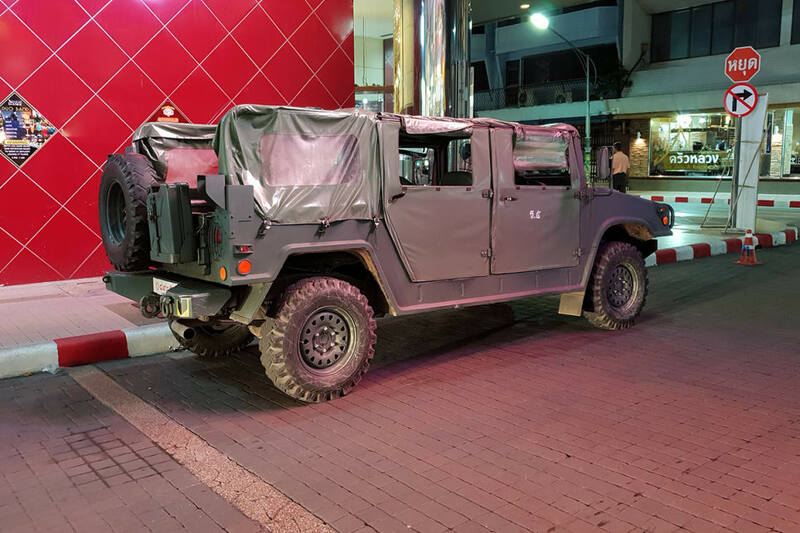 Others were hell-bent on storming Hua-Hin (now 1100kms away) in less than twelve hours! 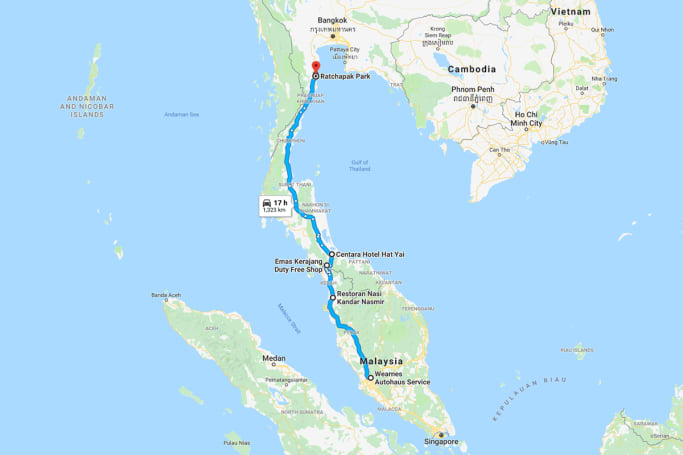 Insane, given we were 'officially' limited to 110km/h in Malaysia and 90 in Thailand. After the majority of us pulled over for breakfast I caught up with the Corrado's owner and begged for a ride. 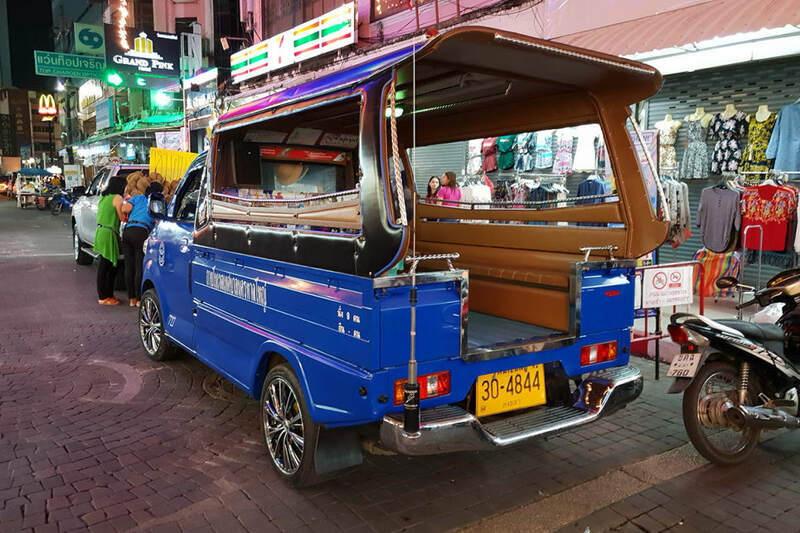 After hitching our next ride with fellow Evo Enduroer Mike in his VW Corrado 133km south of the Thai border, the next stop was the slow shuffle through Thai customs and into Hat Yai. Mike's '95 Corrado had stood out like a like a sore thumb since the start, being the oldest (but among the coolest) car of the group. How could I not ask for a go? Aside from the odd misfire, Mike was proud of his creaky 140kW/245Nm, 2.9-litre coupe. 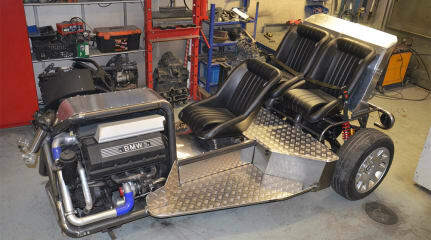 First-gen Audi TT brakes, a custom cooling system, and an upgraded air-con unit were just some of the mods he’d done. Going by his attitude, however, the mods were nowhere near finished. Eager to show me what it could do, we ditched the highway and stormed through some of the most perfect backroads I’ve ever seen, catching up with Evoution Malaysia Editor Bobby Ang (@bobbyang) in his F12 BMW 640i and a Lotus Elise Cup 250 he was keeping pace with. 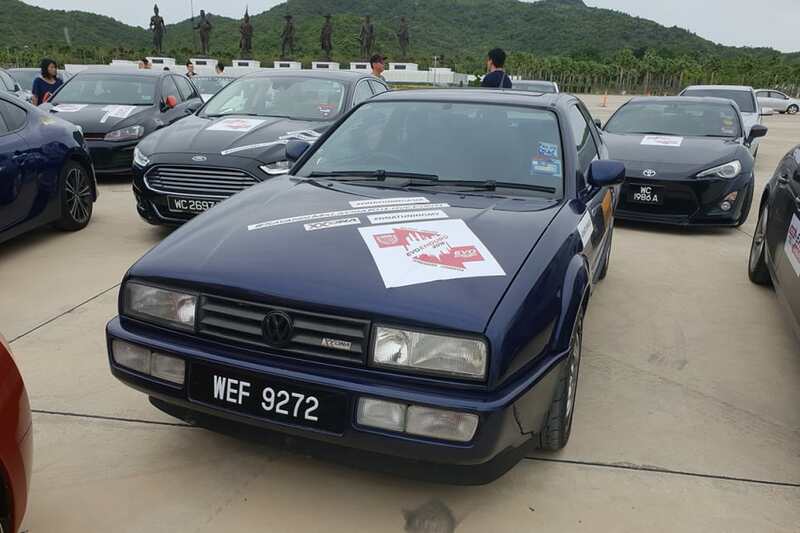 But as we rolled into Hat Yai, brakes smouldering, I waved goodbye to Mike’s Corrado and got ready for a night on the town. I joined Kon, Bobby, and a few other participants to take advantage of the brightly-lit area’s diverse range of initially intimidating grub. 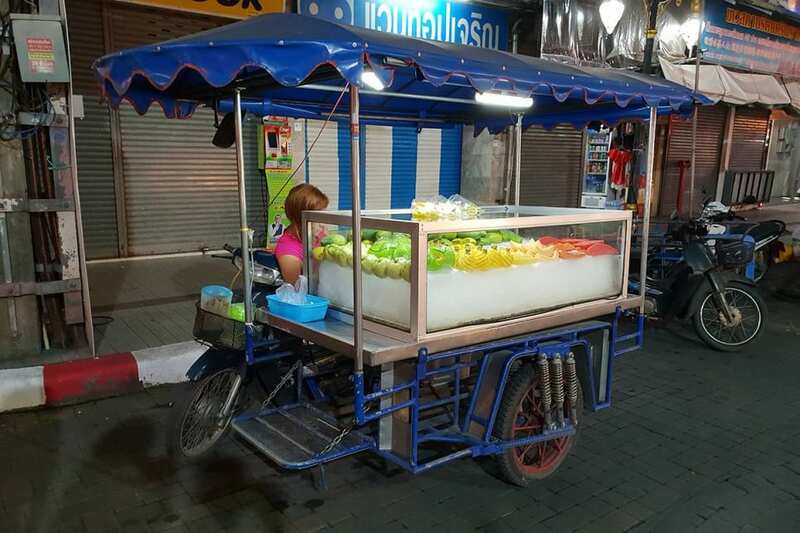 Restaurants and street vendors are abundant in Hat Yai. But take it from me: give the street-dried squid a wide berth. Surely, no healthy amount of salt can overpower the cigarette and diesel-smoke infused taste. Om-nom-nom! 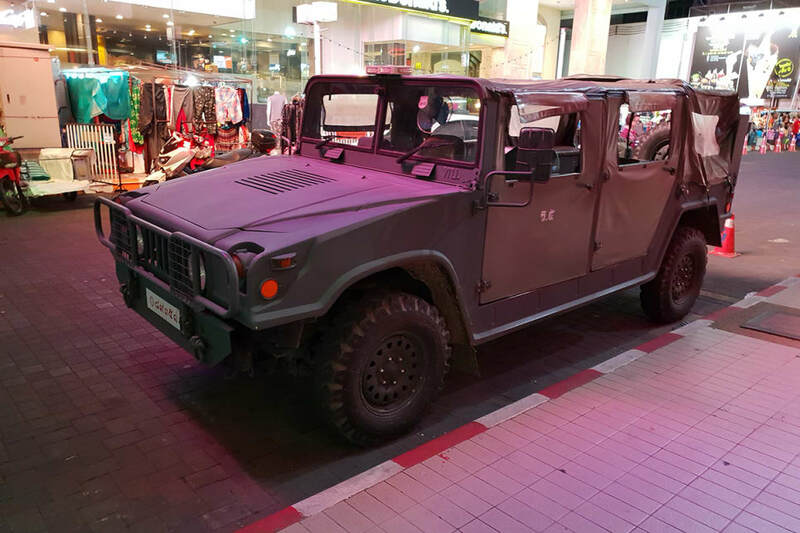 You never know what you're going to find on the streets of Thailand. A little bit too conspicuous for arriving at 'the club' if you ask me. These makeshift-people carriers were often decked-out with fairy lights in the roof, and TVs and speakers in the back. 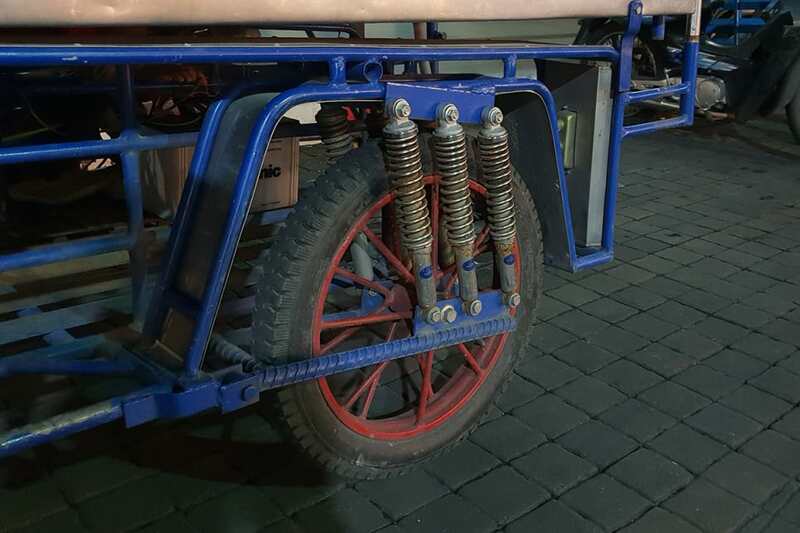 ... but it's the ones with six shocks on each wheel that stand out from the crowd. 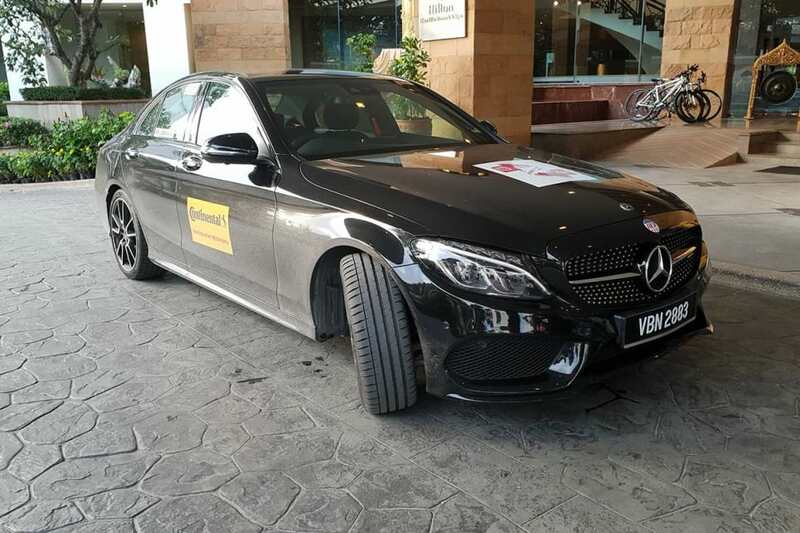 For Day 2, Kon swapped the S90 for a C43, and kindly offered me a steer as we kicked off the day via Hat Yai's chaotic inner-city roads. It might have a smaller boot, but the C43 is way faster. I’d been warned about the perils of driving in Thailand, but my Sydney-honed skills gave me confidence. Invisible 125cc mopeds hiding in your blind-spot, motorbikes coming at you on the highway, and wayward single-cab HiLux’s overstuffed with sky-high durians (south-east Asia's 'king of the fruits') were just some of the things we had to battle on a regular basis. As oxymoronic as it sounds, you have to both stick to your guns and not trust anyone else's judgement. 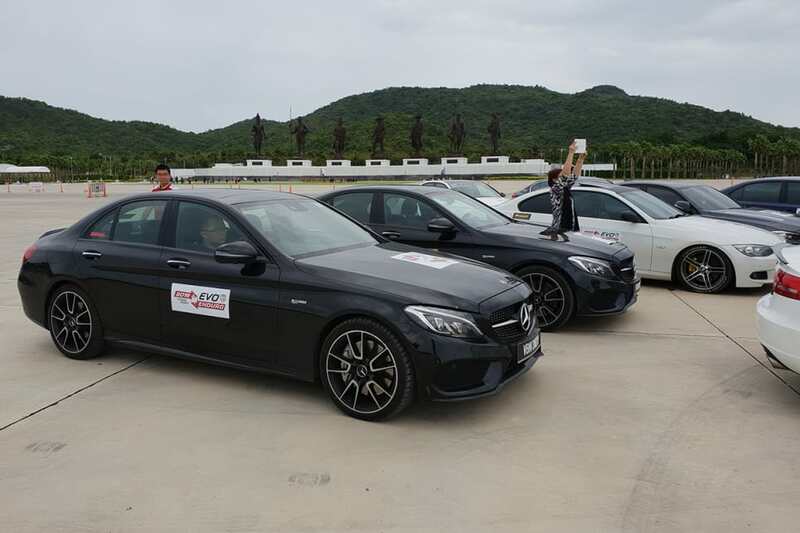 Seeing as we still had 750km to cover, we swapped drivers and let the C43 fly. With Kon at the helm, the highway kays began to tumble. 700km! 500km! 300km! We were making remarkable progress. 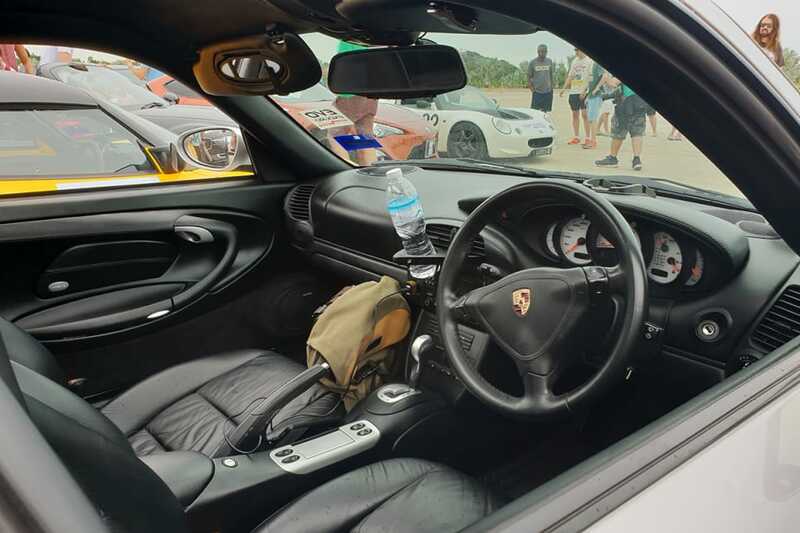 But news soon came in that Mike’s Corrado, and new friends in a 996 911 Turbo and a first-gen Elise were having mechanical issues. 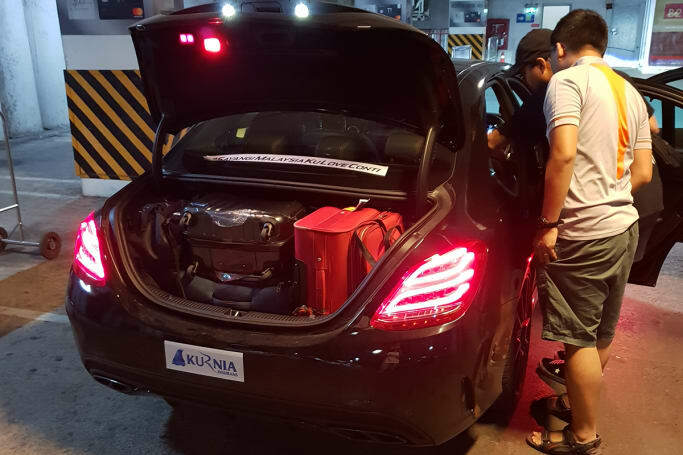 Combined with another comrade in a Lexus IS250 who'd fallen ill, there was little chance we’d gatecrash our Hua-Hin destination together. We even had a little last-minute trouble ourselves: getting lost in one of Hua Hin's extremely narrow backroads. But thanks to some patience and local help, we made it to our hotel! The lite-AMG wore its dirt well: a proud indicator of its hard work. Empty cans, plastic wrappers, and tons of receipts. Typical signs of a two-day road-trip. We weren’t the first group to arrive in Hua-Hin, but we probably had the most fun. 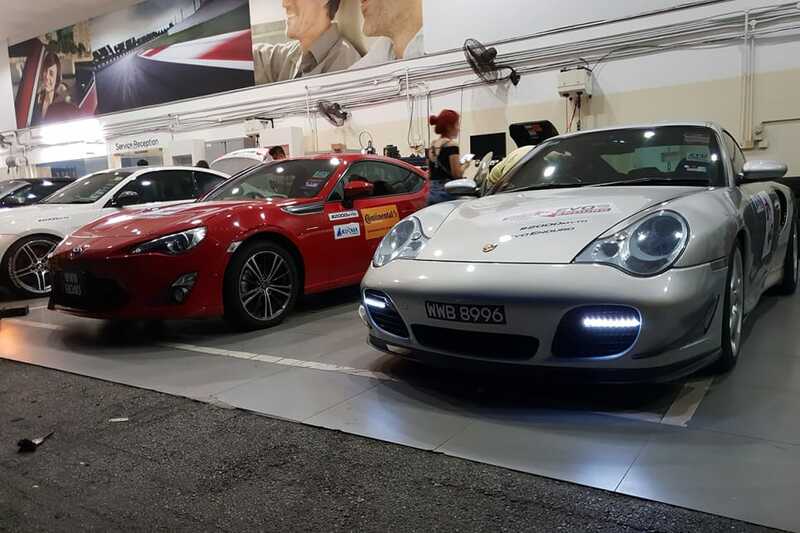 The convoy had checked into their respective hotels at various times the night before, so the final group meet was set for a leisurely time of 4:00pm. 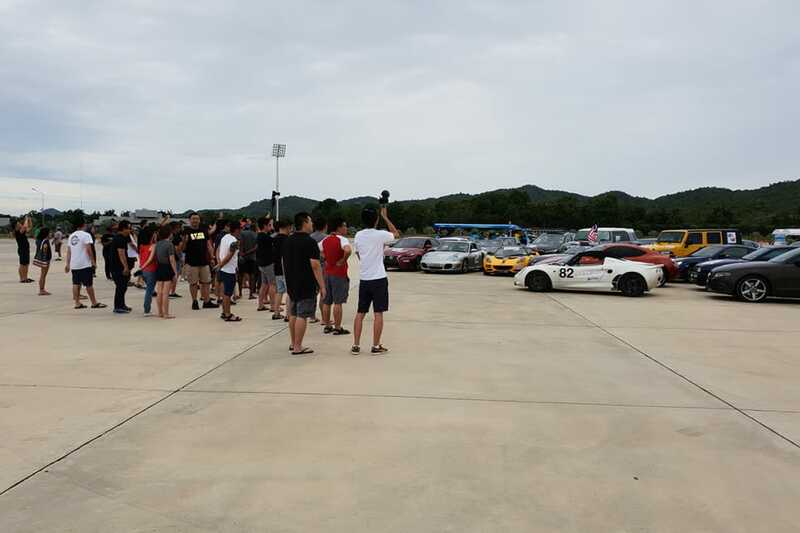 We had an entire day to ourselves and managed to scored a blast in the most modified car on the tour: an 86 with a bodykit, wheels, suspension, brakes, a chip, intake and exhaust, external oil cooler, front strut brace, and racing seats belonging to Alan Ton (@alantan.klocal). 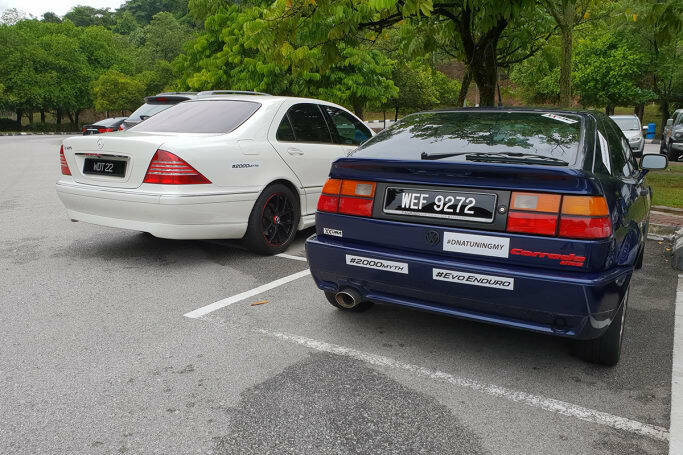 Yes, relatively meagre by Aussie standards, but aftermarket parts are exorbitantly expensive in Malaysia due to similar import taxes to what we mentioned before. 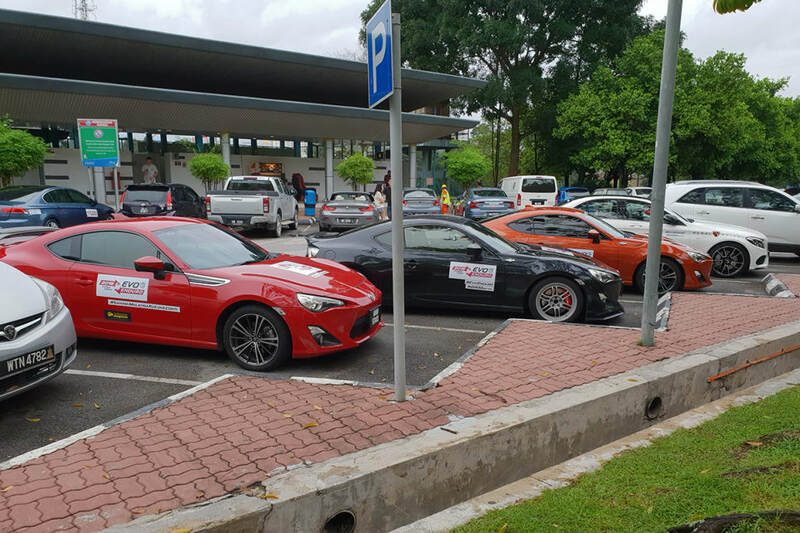 Toyota 86s themselves are ludicrously expensive in Malaysia for what they are (AUD $85,000), however, they’re quickly becoming a hot ticket in the car scene. 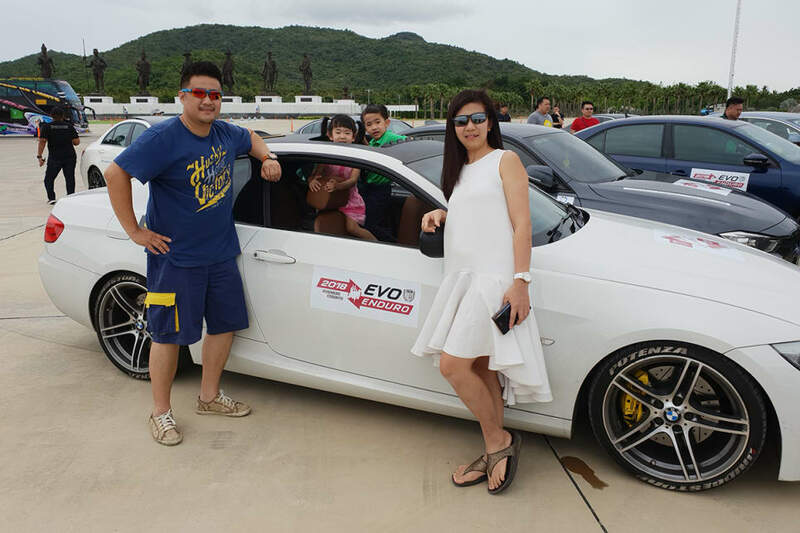 After a quick run through some Thai twisties, Josh and I grabbed extra gear and headed over to Ratchapak Park to catch up for the official Evo Enduro meet. 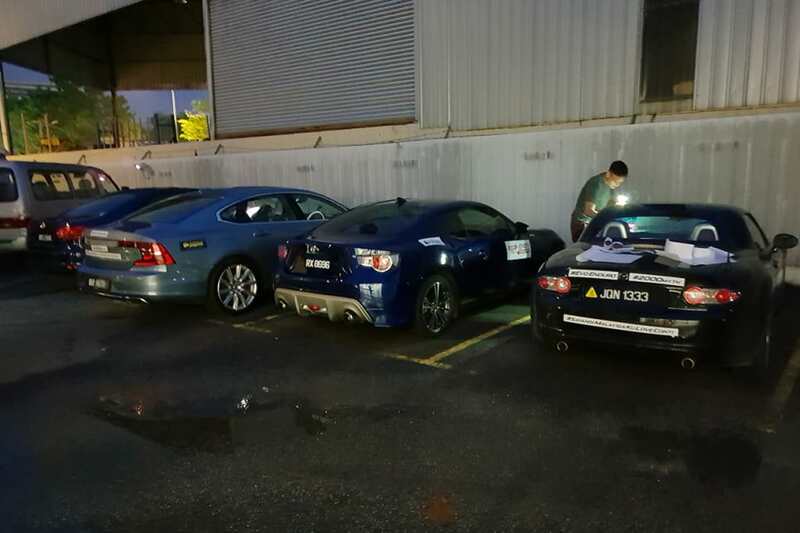 This was the first time all 40-ish cars had been together since the initial meeting 1312km away. Despite the breakdowns, the dodgy fuel, and the turbulent traffic – we all made it. 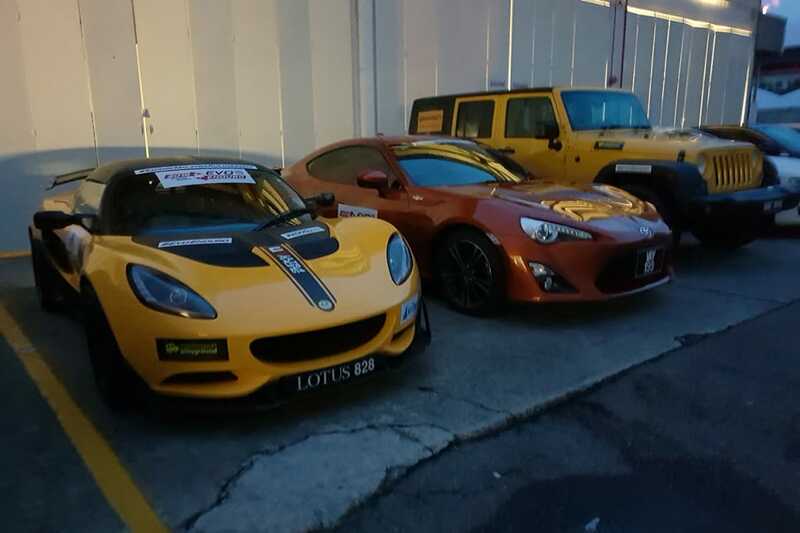 The Lotus Elise Cup 250 and Mazda MX-5 (NC) had stormed all the way to Hua Hin the night before. Apparently, they arrived around 3am. Watch, as the eccentric species of 'car people' wander in their natural habitat. 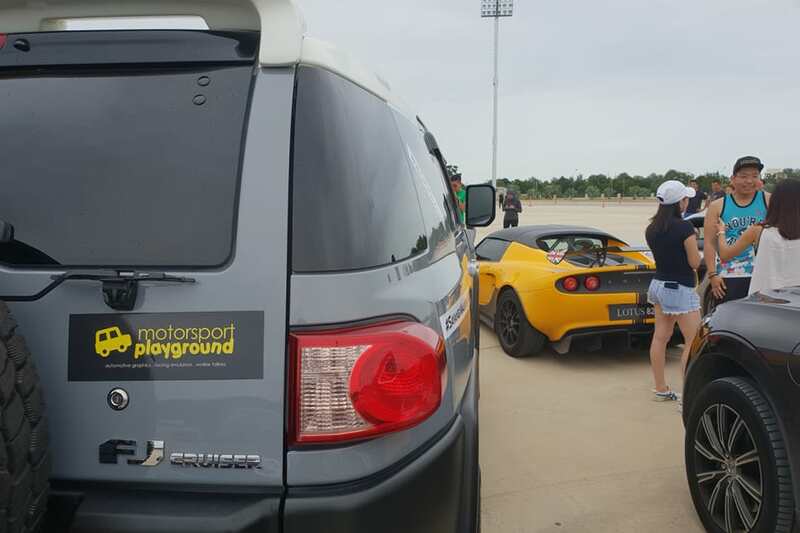 Both the Lexus [FL], Porsche [L], and Lotus [FR] were the cars that had some trouble. 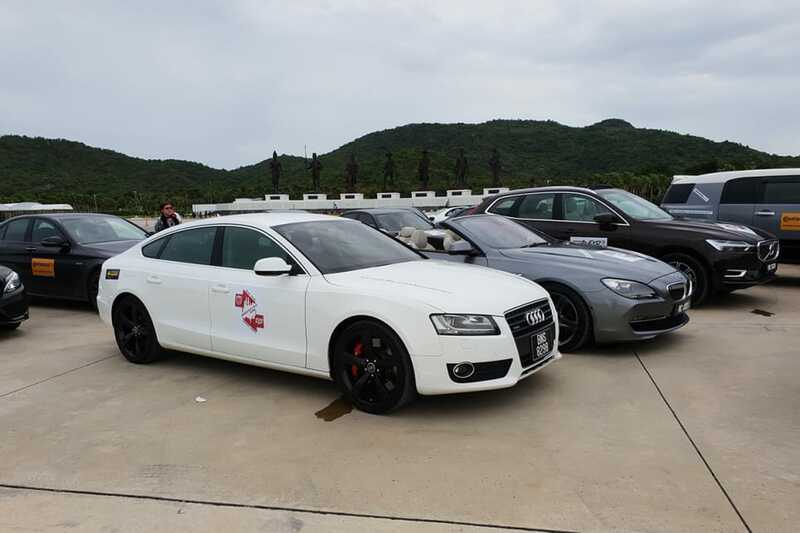 Audis are a rare sight in Malaysia. Likely due to the tax exemptions for locally-assembled Mercs and BMWs. ... there's the new BMW M5. But that's three times as much as the standard car, and 50 per cent more than what Australians pay. ... this one, however, was allegedly stuck in 'limp home' mode the day before; limiting the engine speed to just 4000 rpm. Some of the cars were as different as night and day. 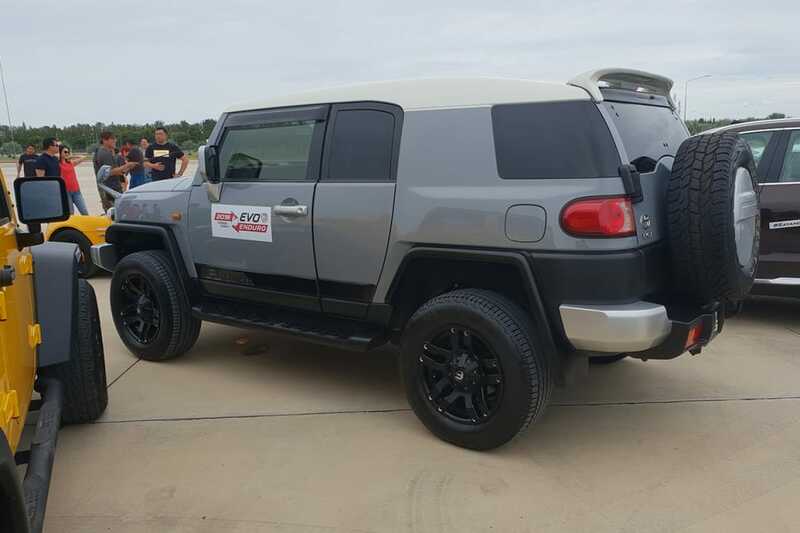 While one of the Jeep Wranglers got its hands dirty on the trip, this FJ probably never left the road. 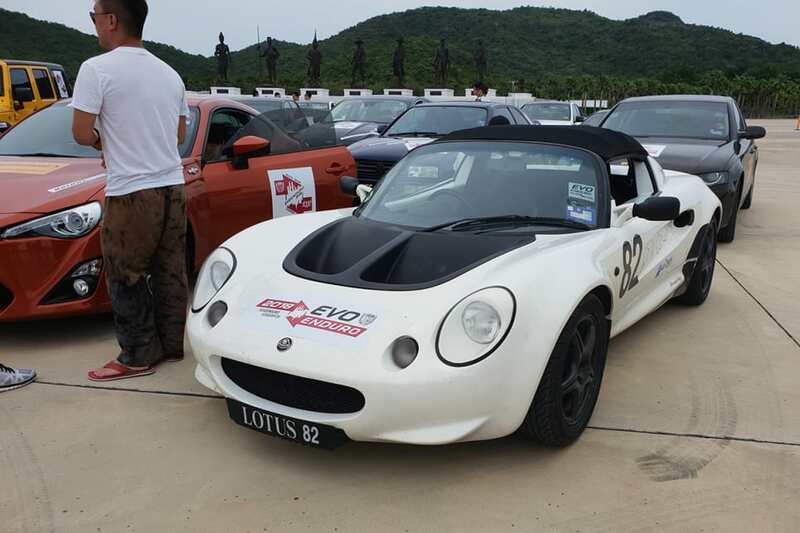 At the time of writing, the owner of this first-gen Elise has continued on to do the 600km Mae Hong Son Loop. Talk about commitment. Mike's misfire might've become an inconvenient breakdown, but the Corrado made it here nonetheless. 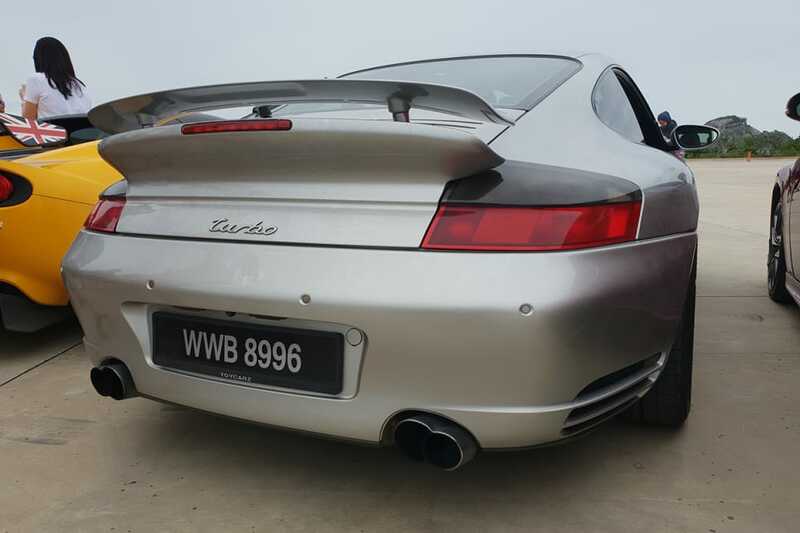 There's nothing cooler than an automatic rear spoiler. 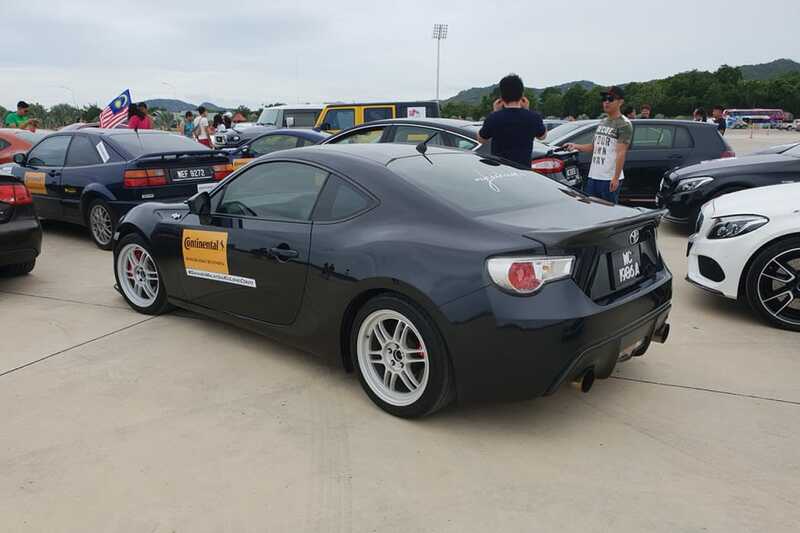 Alan's Toyota 86 was (by far) the loudest car here. Something he was very proud of. 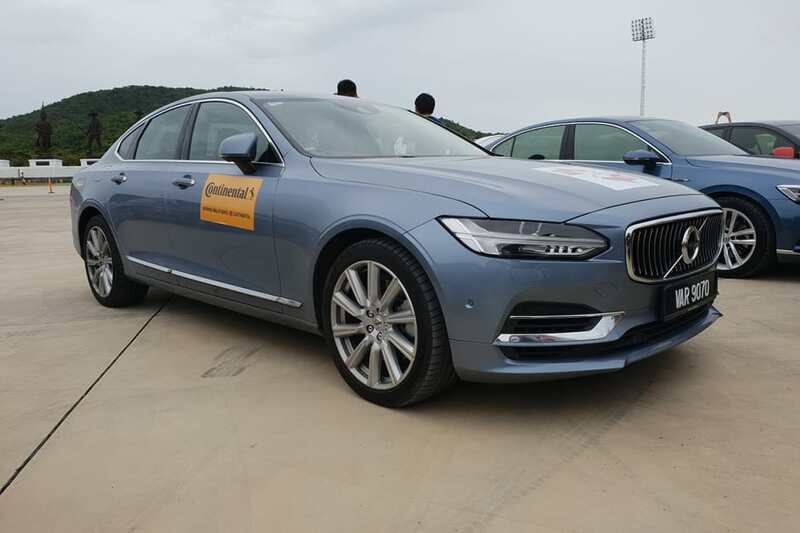 Our Volvo S90 executive sedan mightn't have been the centre of attention. But what other car do you want for a 1000km+ journey? You gotta love the antics of professional photographers. Not that the Evo Enduro was all about ‘getting there’ - it’s simply a celebration of car culture and community. It's about maintaining, owning, and driving whatever you want in defiance of a tax system that begs you to do otherwise. The dozens of top blokes I met proved you don't need exotics to have a great car culture. Should Australia have an Evo Enduro equivalent? Where should it go? Tell us in the comments. Did you know Mazda in Japan will restore NA MX-5 roadsters? A late '70s Mercedes wagon wouldn't normally quicken pulses, but this '79 500TE long roof changes that idea. I don't know about you, but I get a kick out of retracing the route of street circuits when they're not set up, or even extinct. There's even whole YouTube channels dedicated to the pursuit.